U.S. Senator Martin Heinrich Co-Signed a Letter That Called on the Trump Administration to Stop the Development of Management Plans of Bears Ears and Grand Staircase-Escalante National Monuments Until Legal Challenges to the Monument Reductions Were Resolved. U.S. Senator Martin Heinrich Claimed Trump’s Budget, Including Cuts to the Land and Water Conservation Fund (LWCF), Would Be Terrible for New Mexico. U.S. Senator Martin Heinrich Introduced An Amendment That Would Block Efforts to Sell Public Lands. U.S. 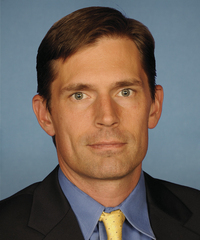 Senator Martin Heinrich Supports Regulating Methane Pollution.